Whether it's for family dinner or pulutan, nothing beats a hefty serving of shrimp. 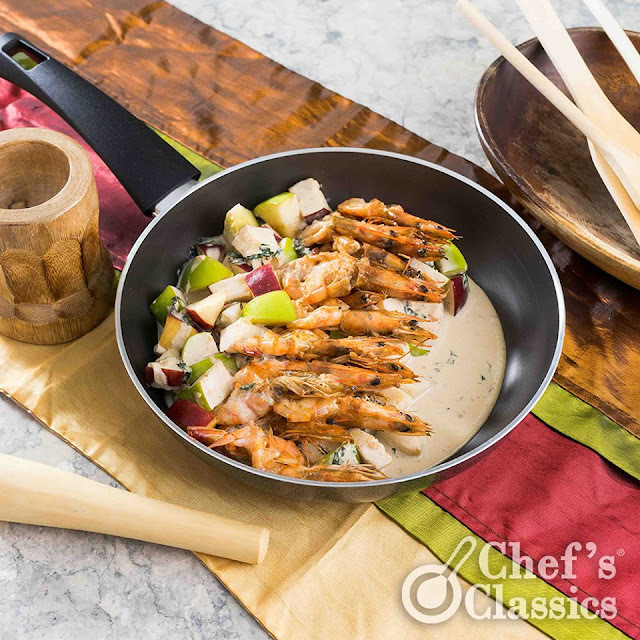 Give today's dish a special spin with our Babe Shrimp recipe! Delicious meal with a quick of beer. 1. In a Chef's Classics Melissa Fry Pan, saute the garlic until golden brown. 2. Pour the beer and simmer for 1 to 2 minutes, then add the cream, basil and shrimp. 3. Season it with parika or cayenne, salt and pepper. Simmer again for about 5 minutes or until the sauce thickens. 4. Turn off the heat and add the red and green apples.